British Tommies heading for the Western Front were not the only people to leave London by train in the Great War. On 17 August 1914, the Austrian Ambassdor departed the capital from Paddington Station accompanied by a strange chorus. When a nation declares war on another, they expel the other country’s ambassador. On 6 August, the German ambassador Prince Lichnowsky left his residence at 9 Carlton Terrace, watched by a small but quiet crowd of Londoners. The Prince had been quite pro-Britain and was disappointed in his nation’s role in bringing about the war – as he set out in his book about his time in London. After the United Kingdom declared war on Austria Hungary on 12 August, the Austrian Ambassador Albert, Count von Mensdorff-Pouilly-Dietrichstein also had to leave. 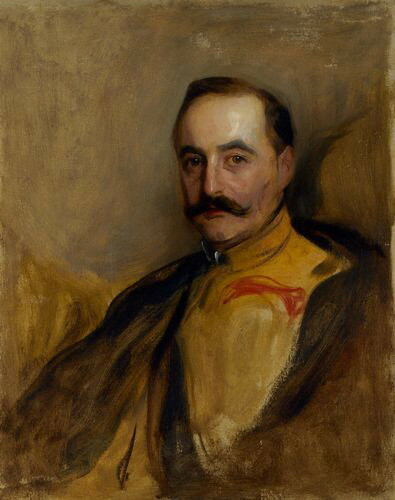 Count Mensdorff too had tried to avert war. He had been ambassador since 1904, but had also been an attaché as far back as 1889. After 25 years in London, he had to go back to Vienna. He reportedly received a telegram from King George V saying that he would be welcome back in London in future. On 17 August, the Count left the Embassy in Belgrave Square, watched by a crowd of people – mostly British but with a few Austrians. According to the Manchester Guardian’s account, one Englishman stepped forward to bid the ambassador ‘Good-bye’. Count Mensdorff arrived at Paddington Station, where members of the public were not allowed onto the platform. However, a group of 30-40 Austrians and Germans had managed to get onto a neighbouring platform and began to sing their national anthem, which had the same tune as the more famous German anthem Deutschland uber Alles. It really must have been a strange sight – and sound – to hear the two groups trying to outdo one another in singing the national anthems of nations on opposite sides of the Great War.